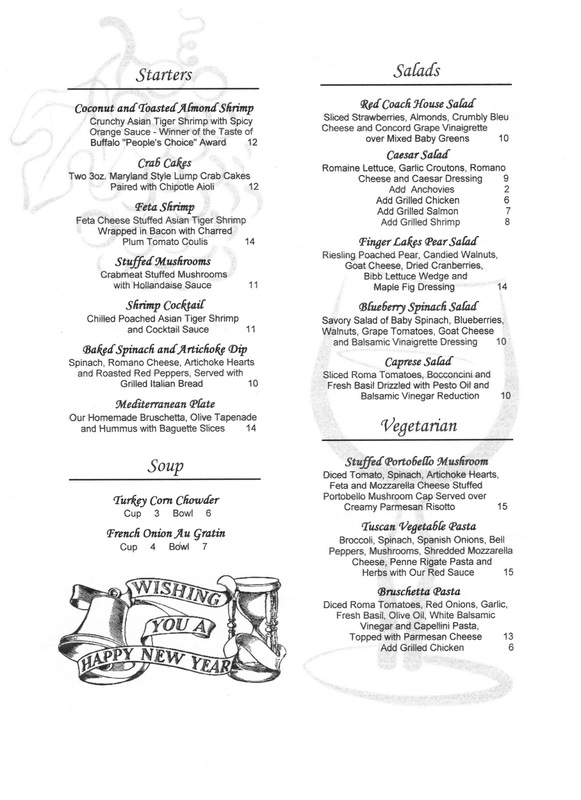 Red Coach Inn: New Year's Eve Feature Menu: Ring in 2019 with the Red Coach Inn! 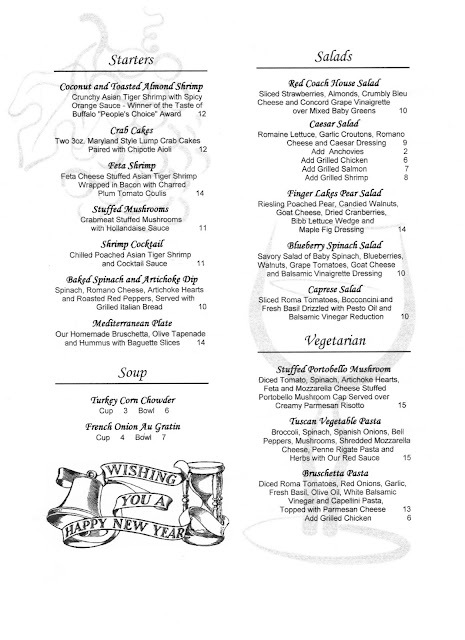 Start your New Year's Eve celebration off right with a delicious meal at the Red Coach Inn. 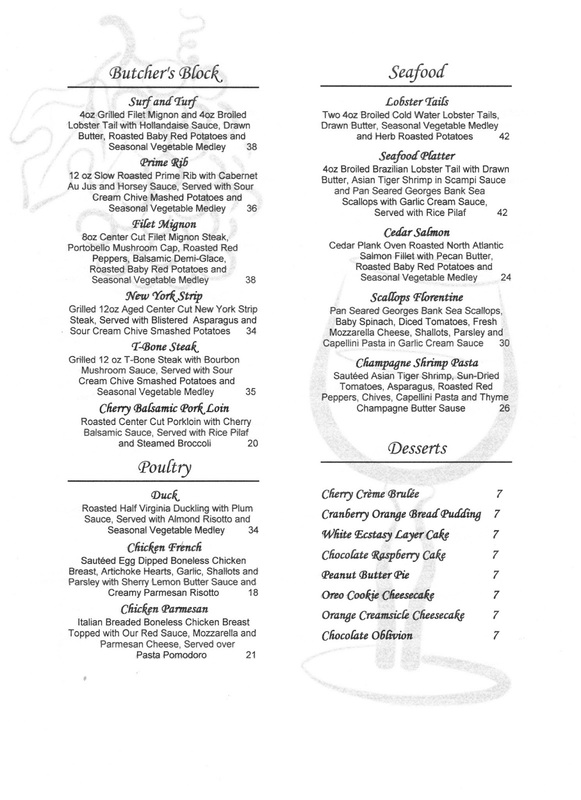 We've prepared a special menu to welcome 2019 and will be offering it from 3:30PM to 10PM on December 31st. Whether you're looking to enjoy a sit-down dining experience or fueling up for the New Year festivities ahead of you, ringing in 2019 with us will surely be a memorable time! 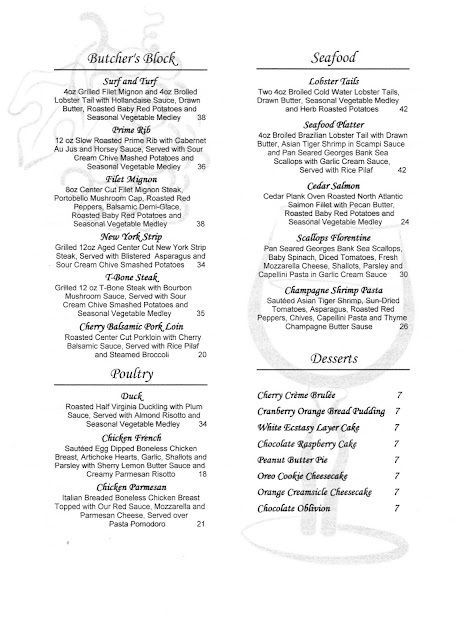 Check out our feature menu below (click menu to enlarge) and call today for reservations (716) 282-1459.